Save 100% when you buy any ONE (1) 3oz. 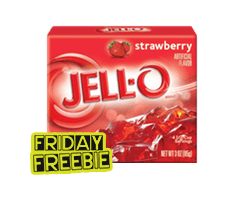 box of JELL-O® Gelatin Dessert. Check back every Friday for a new Freebie!